There have been some encouraging votes of confidence in the UK with week, particularly from the motor industry. Employment figures look good too. I think though that it’s best not to get too carried away because there will be a price to pay for Brexit. The motor industry is safe because we will retain AEO status, we will have a tariff free arrangement, and we might even be able to duck rules of origin requirements in this sector. I think on balance manufacturing will enjoy business as usual. Some predicted that the very act of voting to leave would trigger a recession. It didn’t but I imagine until we know what Brexit looks like there will be a degree of deferred investment – none of which matters especially to the average voter. I think the worst of the economic turmoil is a result of market panics which is largely because money follows money and markets do not behave rationally. What we will see is a recovery of the pound and investment recovering when it sinks in that Brexit isn;t the end of the world and the UK is not bent on hard Brexit. If anyone is to blame it’s the media for their persistent ignorance and wilful mischief making. One of the downsides of being a democracy. The question of whether we have an actual recession is an open one – and it’s actually irrelevant. We could very easily avoid negative growth but that does not mean we couldn’t still suffer a long period of hardship in the real economy. I now think that is the more likely scenario and I don’t think it will all be attributable to Brexit. As to when it will kick in, nobody can say for sure but I think we will see it further down the line as we peel away from the EU and transitional arrangement begin to expire. That could be a decade away. By that time business will have a far better idea of what Brexit looks like and will have adjusted their strategy accordingly. In this it is unlikely that the social impact will be severe because as far as the regions go, defence and infrastructure spending is huge. I think farming will be the key concern. Brexit for farming could go either way. It could either be the answer to their prayers or an unmitigated disaster. In most respects the economic impact will largely depend on banking arrangements where we could either see radical change or no change at all. Most of all Brexit requires a major rethink of how invisible government works and who it answers to. A lot will be up in the air for quite a long time. If you were to press me I would still say we likely will see a mild recession and one that doesn’t really impact on the lives of most people. It won’t be as bad as the financial crisis and most of us made it through that intact. For most people, the estimation of how well the economy is working is largely dependent on their own personal circumstances. For what was supposed to be one of the hardest times since the 1970s the crash had no real tangible impact on supply chains and the histrionics didn’t pan out. If they didn’t then, they won’t now. The problem we have is that the the mass liberalisation of trade as promised by Brexiteers isn’t coming and deregulation isn’t on the cards so if there are sunlit uplands it will on the back of an unexpected innovation in trade. Brexit at least makes that a possibility but the “bumper trade deals” as promised by Boris Johnson do not exist. On the whole I expect Britain is going to be a little bit poorer for having left the EU for a couple of decades. That though is not going to matter. It won’t take long to adapt and I expect it will be a catalyst for a number of social and cultural changes that will be most welcomed when they arrive. I think that will set the stage for a political renewal that we are much in need of. The sticking point for remainers is that they don’t see much wrong with the status quo and they don’t think change should inconvenience them. Brexit will hit pensions and I think we will see more cuts to services. Understandably a lot of people want to avoid that. Having said that it should be noted that continued EU membership held no real certainty either. At best the economy is treading water and though some economic metrics look pretty good the story on the ground is one of a more fluid economy where pay is improving in some sectors but job security has vanished entirely. We can also say that the EU wasn’t going to offer us any solutions either. CETA is not home and dry yet and it looks like TTIP is dead in the water and there wasn’t much else in the offing. We are looking at a state of trade normalisation where we can expect no real booms unless there is a revolutionary innovation. The advent of 3D printing is going to change a lot of trade patterns and the shipping industry is undergoing a complete remodelling. Nobody knows for certain what that will look like. What we can say though is that having left the EU there is at least the potential for us improve our trade. I am absolutely convinced that Britain could be a trade facilitation pioneer. It’s just a question of getting the government to realise that their focus on bilateral deals is wrongheaded and obsolete. If we had a McCarthyesque purge of DfID and cleared out the NGOcracy we could compete directly with China in opening up new markets in Africa. The biggest task we face is parting with bad ideas that have been entrenched for many years. DfID should not be a branch of Oxfam. Clearing out the EU mentality is necessary for us to move forward. The big fear is that we won’t and we will simply leave the old mindset in place and continue working the way we always have. That’s the problem with having a middle of the road conservative party that is still effectively run by the dinosaurs from the Thatcher era. They may not be in office but they control the purse strings. Ultimately the success of Brexit is not a given. It is something we will have to work at and we could very well make a pigs ear of it. The point though is that we have afforded ourselves a window of opportunity that we would not have otherwise. Ultimately it now depends on the political process and the people we elect. That means that each of us now has to take more of an interest in politics than ever before, and start voting for candidates on merit rather than tribe. At the moment we are overburdened with dunces and halfwits many of whom take no real interest in anything at all beyond their own myopic preoccupations, particularly on the Labour benches. Meanwhile the ideas machine behind the Tory party is still the same squalid circle jerk it always has been. It’s now up to bloggers to start thinking and innovating and we need to bypass the London wastrels altogether. There is a long road ahead and if Brexit is to be a success then we will first need to replenish our politics. Whether we have a recession or not is really neither here nor there. The decision has been made and though some would like to overturn the referendum that would be pointless. The genie is now out of the bottle. Just the sentiment to leave was a hammer blow to our membership and its going to happen one way or another. There’s no putting things back as they were. What matters now is that for the first time in forty years we are free to choose our direction. If we want to make the best of Brexit then we have to depart from the old ways. 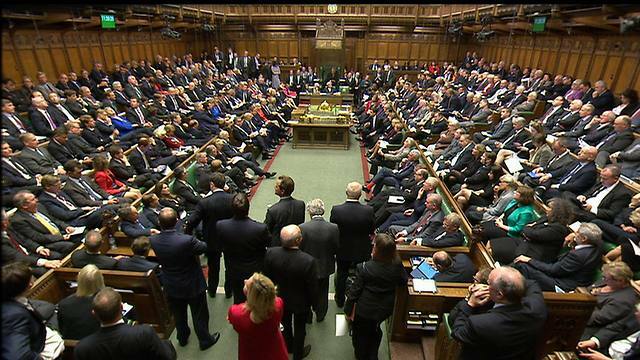 When I look at our current crop of MPs and our dismal media I see a system that has lost its way, in part thanks to having made itself obsolete under EU rule. Parliamentary democracy is not really democracy and the model is not really one befitting an internet age where citizens are now more engaged and informed than ever. Our establishment is a praetorian guard to prevent citizens having real power over their government. If we want to build a better Britain and have politics fit for purpose then we need to change the way things get done. Our establishment has delivered failure after failure driving us ever deeper into debt, making the same mistakes over and over. Brexit alone doesn’t change that. To go the rest of the way we have to break the cycle. If we are to “take back control” that means taking back control from our government.